O.S. Speed 21XZ-B Spec. II Ty 110% Engine « Big Squid RC – RC Car and Truck News, Reviews, Videos, and More! Coming in late September is the O.S. Speed 21XZ-B Spec. II Ty Tessmann 110% Nitro Engine. This particular edition of the 21XZ-B has been tweaked by Ty Tessmann himself for optimal performance and is a limited edition unit. 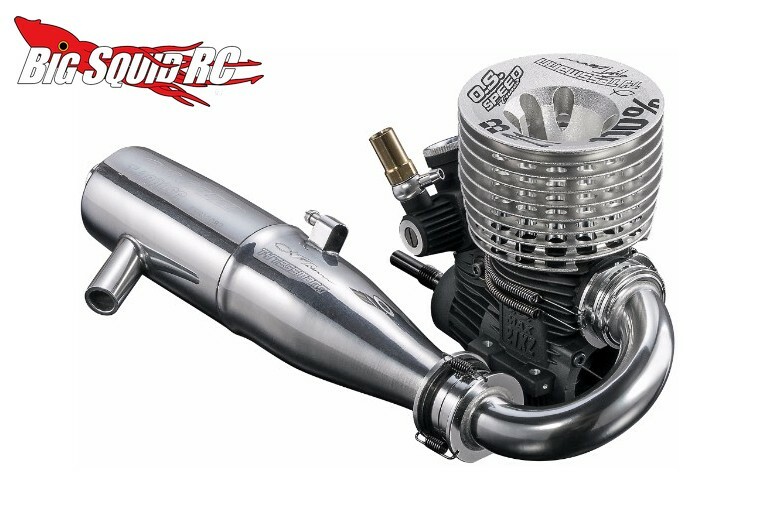 If you are wanting to bolt serious power into your 1/8 buggy, this engine is for you. The engine is available with ($629, #OSMG2036) or without ($499, OSMG2037) a T-2090SC tuned exhaust and you can use This Link for full details over on the O.S. website. Click This Link for more O.S. news on BigSquidRC.